Well we now have the weather to feel like summer is here it is in the 70's and sunny now and for the rest of the week. Some of you will notice when you arrive that our oldest dog Flie will not be out to greet you. He is no longer with us except in our memory. On a brighter note you will notice a new puppy ( Leonardo) to greet you, he is about 6 weeks old and will arrive here Monday. Sue has finally finished school for the summer , the last day was Friday. To celebrate other than having a drink or two her and I went fishing Friday night and early the last 2 mornings, the fish even co-operated fairly well with Sue catching the biggest and most Walleyes. 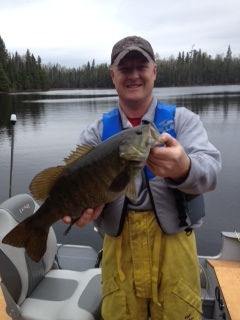 The fish have been biting quite well the past couple of weeks! 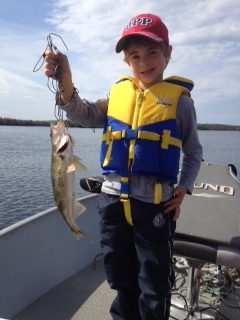 We have even had a few fish frys last week. I am still catching up on projects, I have gotten a couple of roofs redone, next winters firewood almost taken care of as well as many smaller projects such as shed moving, and shed tearing down ( Thanks to George and the boys). I still have a couple of roofs to do , new siding on one of the cabins, landscaping more of the lakefront as well as painting , staining etc. Hopefully the bugs will let me work on things easier than they have the last few weeks. Paquette's Camp will have a new addition to the staff as of Monday, Leonardo will be joining us then! 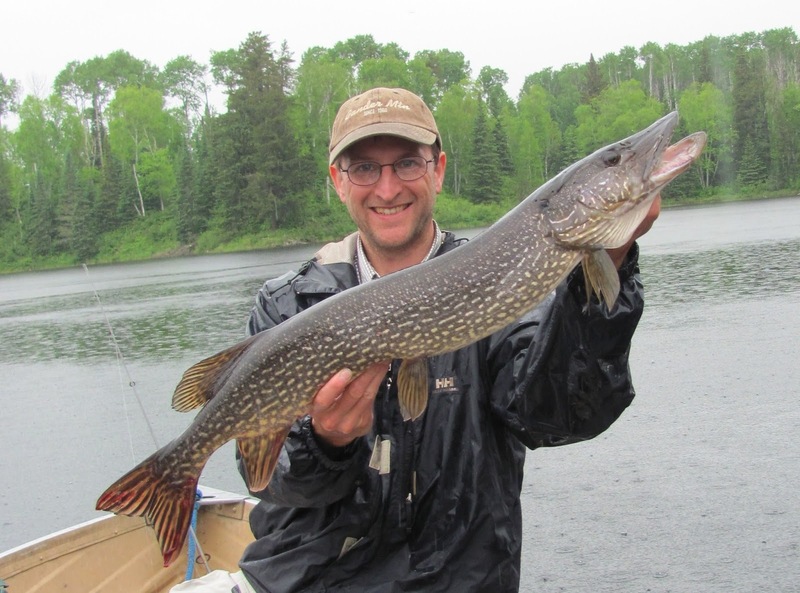 It was a rainy nasty day and the fish bit a bit slow ,but John caught this nice Northern Pike in spite of it. 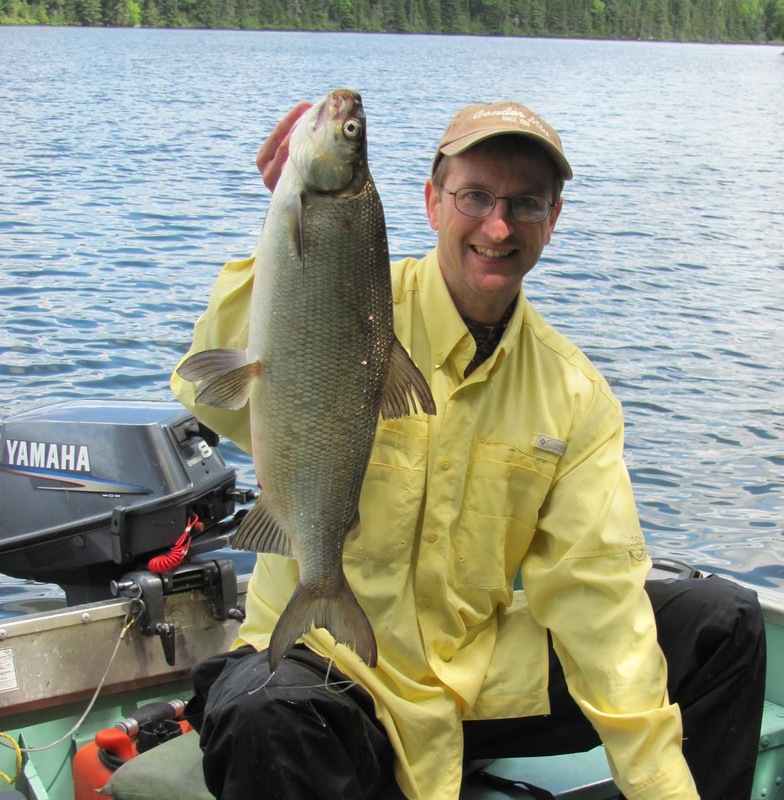 John was very happy to add a Whitefish to the list ot different species of fish he has caught! While on a recent trip to Paquette's Camp Lydia caught and landed this nice Pike all on her own. 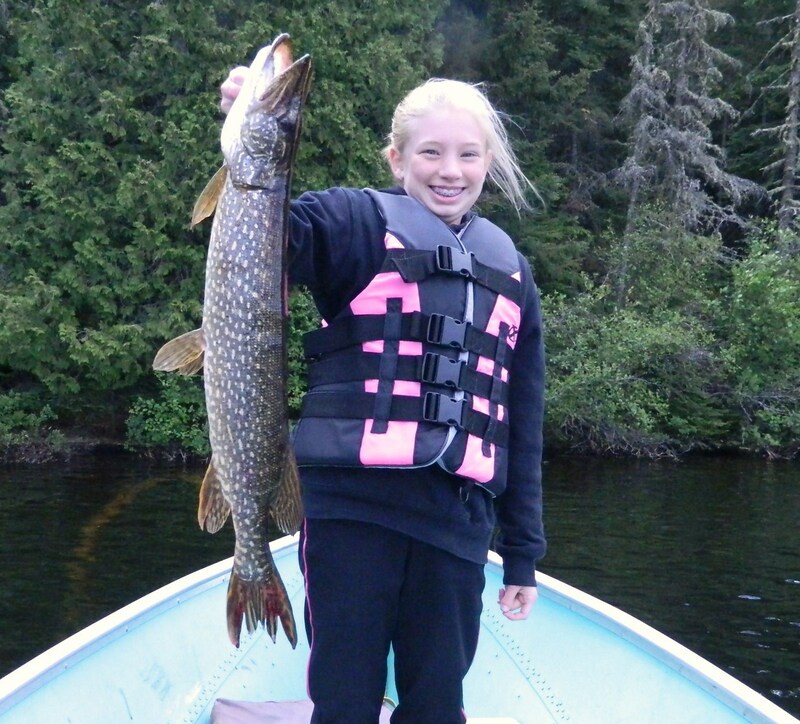 Nice Fish Lydia! The camp has been up and running for a couple of weeks now, we started out with the ice just going for the opening week. The rain started after that, the water came up 5 inches overnight and the lake was at the highest level I have ever seen it. All my docks were floating and none of them are floating docks! The water has gone down some now but now we are dealing with Black Flies in full force and they are miserable right now, but I think summer is here there was only frost 3 mornings last week. 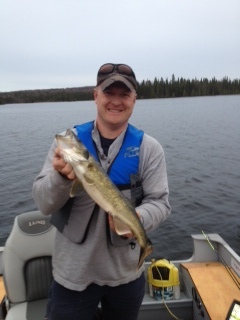 The fishermen have been doing quite well, however the Walleye haven't bit well the last couple of days, but we are supposed to get a weather change tonight and that should get them back on track. Projects are starting to get done around the camp, all the firewood for next winter is cut. I have been working on some roofs when the bugs don't drive me off them, a group of guys helped me jack up a shed and move it this morning, and I thank them for the help! Tomorrow I plan to take a day off working on projects and go fishing! It is nice to start seeing farmiliar faces again this spring and meeting new people for the first time. Hope to see you this summer. 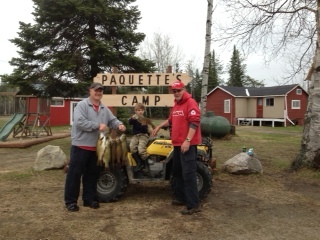 Its nice to see everyone in on the action, Grandpa right thru to grandson ! 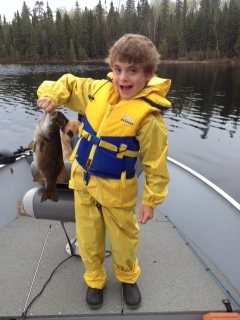 James just caught a nice Small Mouth Bass, he looks happy!